With calving about to get into full swing in the next couple of weeks, we wanted to give you a quick reminder on registering calves with Herdwatch and the new features that we have added to make it easier. ICBF Sync: You can download any previous breeding information by linking Herdwatch with your ICBF account. You can do this in the settings menu or by clicking here. Scanning the Tag: You can now add the calf tag number by scanning the barcode on the tag or the white card. 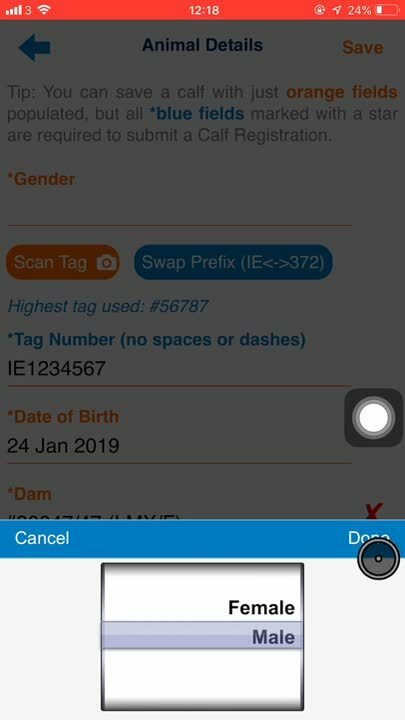 Pedigree Information: If you record your pedigree information in Herdwatch then it will flow to ICBF and your breed society automatically. 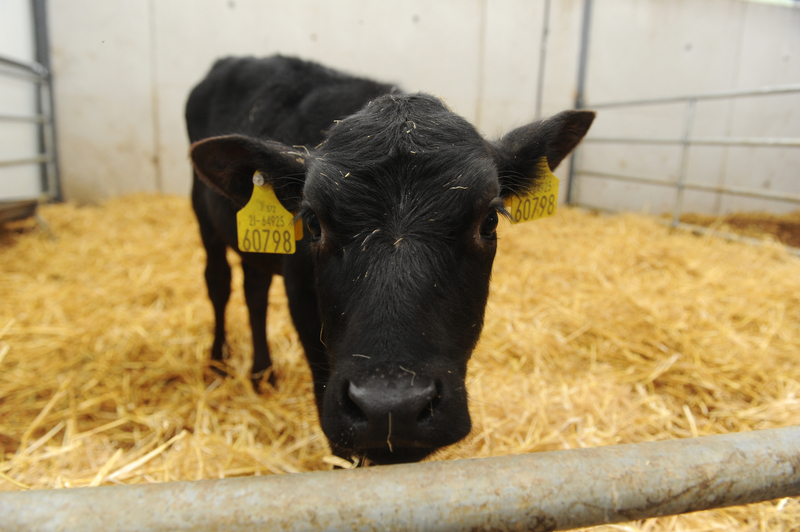 Calf Birth Weights: You can now record a calf birth weight when registering a calf. As you know, calves must be registered within 27 days of birth by law, and we're here to help you do this quickly, properly and on time. Follow this tutorial and you'll have your calves registered in 30 seconds or less. > Tap the Orange Plus (+) Button. > Tap Register a Calf. > If you have breeding records in Herdwatch then you will be shown a list of cows due to calve in the next 2 weeks. >Tap the cow that has calved. > Scan the barcode on the calf tag. >Tap Save in the top right hand corner. > If you are registering a dead calf, simply select the correct type in the Stillborn field. What does the farmer say? Denis Burke is a dairy farmer from Kilmaine, Co. Mayo. This west of Ireland farmer milks 130 spring calving Friesian cows. Last year alone, Denis registered over 100 calves using Herdwatch which has saved him an estimated 16 hours or roughly 10 minutes per calf. Denis registers the calves as they are born using Herdwatch. With Herdwatch, this is no longer a problem because he registers the calves as he is tagging them. Calf registration couldn't be easier, simply scan the tag or white card to register a calf. Another added benefit is that mistakes are harder to make as the calf and dam are right there in front of you. “The calves are registered before the kettle is boiled”. Denis is one of over 8000 farmers using Herdwatch to save hours every day on farm paperwork. Herdwatch is fully compliant with Bord Bia and conforms with quality assurance standards. It is fully integrated with ICBF to download breeding, milk recording and EBI/Eurostar information. Getting set up on Herdwatch has never been easier, farmers can now simply download the app and sign up to the FREE-PLAN.